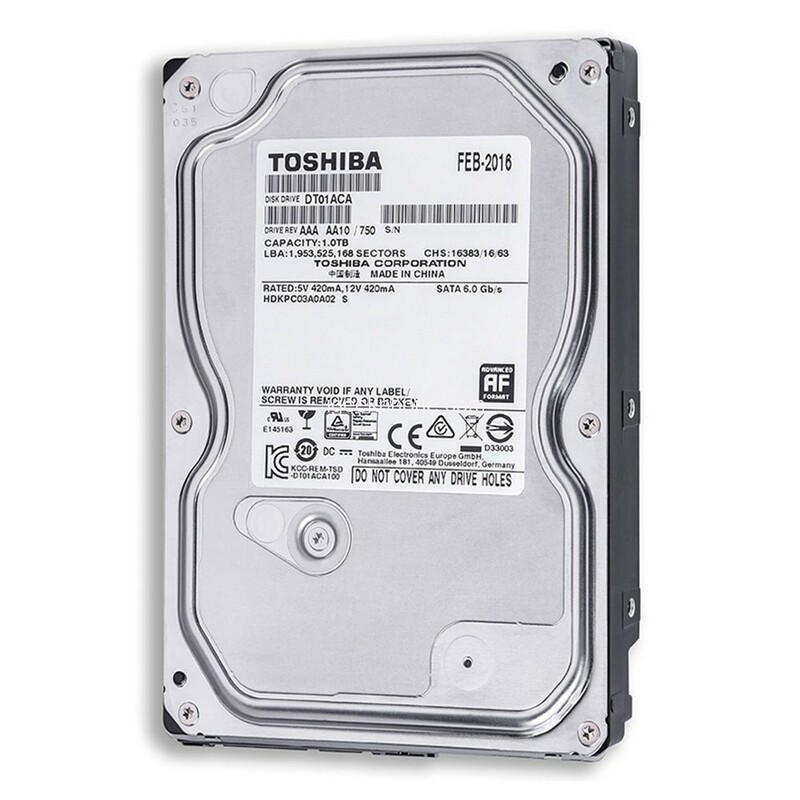 The TOSHIBA DT01ACA100 Desktop HDD first 3.5-inch hard drive for use in power-friendly consumer and commercial desktop computers. The 7,200 RPM drive series is engineered for high performance and low power for cooler operation. TOSHIBA DT01ACA100 Desktop HDD is optimized for use in power-friendly consumer and commercial desktop computers, gaming PCs and external HDDs. The DT01ACA series offers up to 3 TB capacity and uses Advanced Format and leverages a best-in-class power management technology. Advanced formatting optimizes hard drives to take advantage of the capabilities of newer operating systems. This capability enables hard disk drive manufacturers the ability to design larger capacity hard drives, now and into the future. In addition, this desktop drive provides up to 16% idle power savings over the previous model. The SATA 6.0Gb/s interface drives deliver 7200 RPM performance. These HDDs are designed to allow manufacturers to leverage the benefits of the latest components and operating systems to deliver high-performance, high-capacity, power-efficient systems. The DT01ACA Desktop HDDs feature 1 terabyte-per-platter technology in capacities ranging from 500GB to 3TB* (1, 2 or 3 platters). With 64MB cache buffer (2TB, and 3TB models) the DT01ACA drives are designed for faster data processing. The 3.5-inch DT01ACA drives include Advanced Sector Format technology, which utilizes the industry standard 4K byte-per-sector configuration and improved error-correcting code functionality to enhance data integrity while making more efficient use of the storage surface area.